Blogs continue to replace newspapers and newsletters to the point that marketing programs at colleges and universities are offering courses on them, as well as the rest of social media. 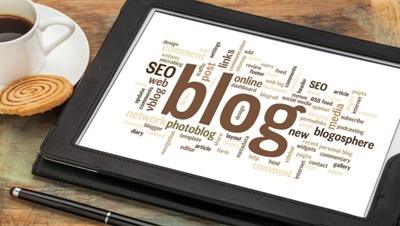 As a fun and creative way for a business to promote themselves, knowledge about how to incorporate a blog into your product fulfillment operations is essential. It’s difficult to say which blog site or interface to use, as each service, such as Blogger and WordPress, has advantages, so research each thoroughly to see which best compliments your business and skills. And regardless of your choice, make sure to learn how to use its features; each operates differently, whether it’s how to upload content or how to publish draft pages. And while it may go without saying, also make sure that the material you put online has value. Product fulfillment blogs need information that is relevant to your industry, be it new postal logistics information details about an alternate means of shipping fulfillment. Finally, if you are serious about using blogs but still unsure about how to successfully manage one, you can also take lessons at your local business center or college. Alternatively, if you want to save some cash, simply read a lot of other people’s blogs; the more professional ones can show you what sort of information is important, how to incorporate SEO and linking, and what sort of language to use. The most important thing about a blog is that people read it. As such, make sure to include content that will encourage repeat visits from clients and colleagues; that way, whenever you create updates, followers will take renewed interest in and be inclined to engage your business further. This, of course, means needing to publish updates regularly. With a great product fulfillment blog, you can entice your audience towards your products or services more effectively—and all it requires is current information.